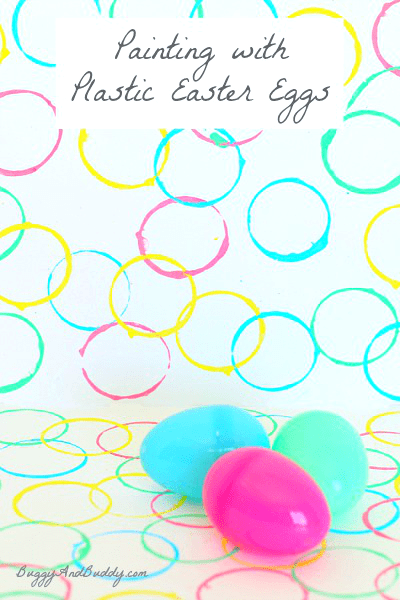 One of our favorite ways to use plastic Easter eggs is for painting! 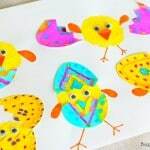 This Easter craft is perfect for little toddler and preschool hands. 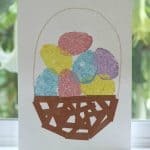 Children love using the plastic eggs to stamp and make circle collages and designs. 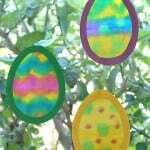 Every year about this time plastic Easter eggs seem to always appear out of nowhere in our house. 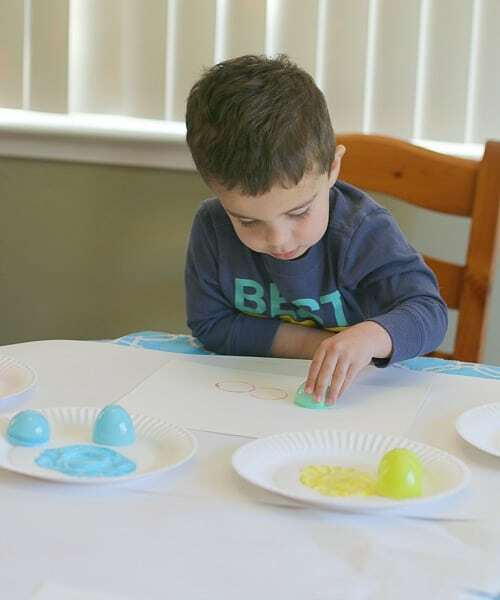 Today Theo and I were using one of them to reenact The Golden Egg Book (one of our favorite Easter stories) when he brought up the idea to paint. 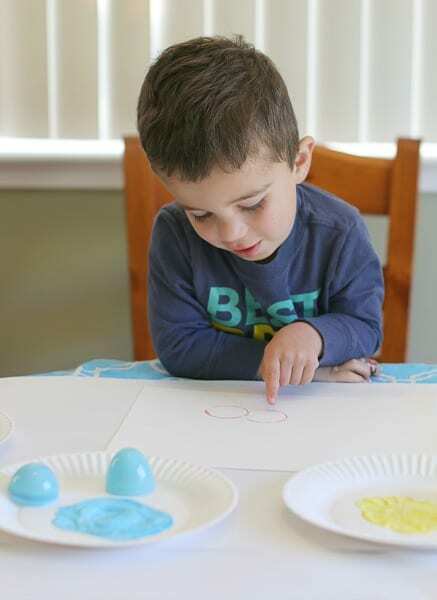 Since Theo has loved our last two art projects involving stamping (Sponge Painted Easter Eggs and Sponge Painted Caterpillars), I asked him if he wanted to try using the eggs for painting. He was more than excited! 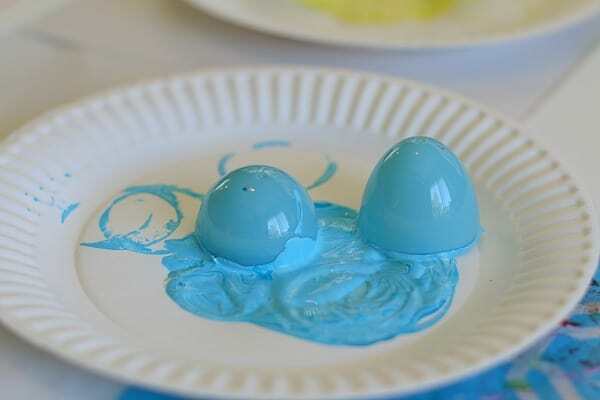 Start by squirting some tempera paint onto paper plates and add an opened plastic egg to each plate. 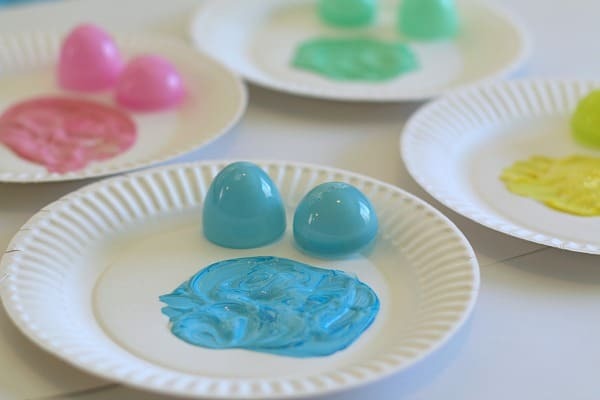 Now you’re ready to create! 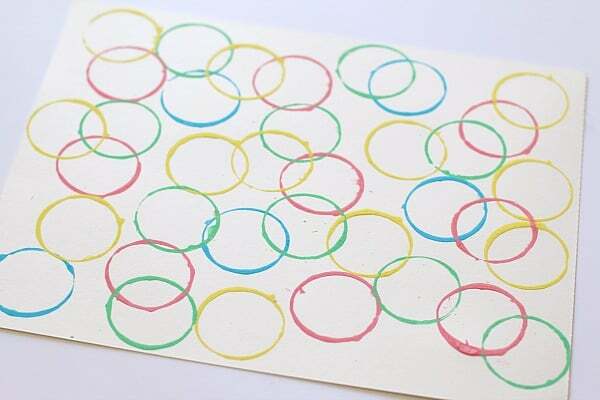 Place the open end of a plastic egg in the paint and use it to stamp circles on your paper. 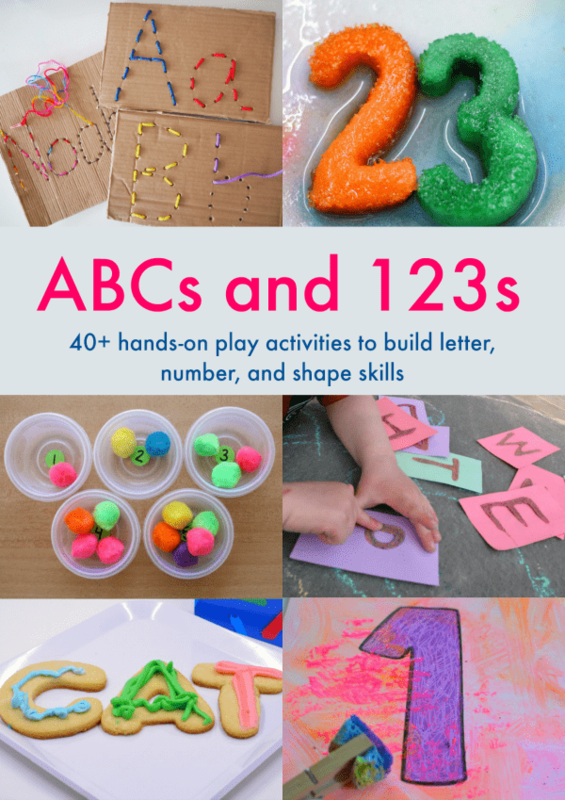 Theo was excited to see the shapes on his paper after his first few times stamping and noticed they resembled letters. 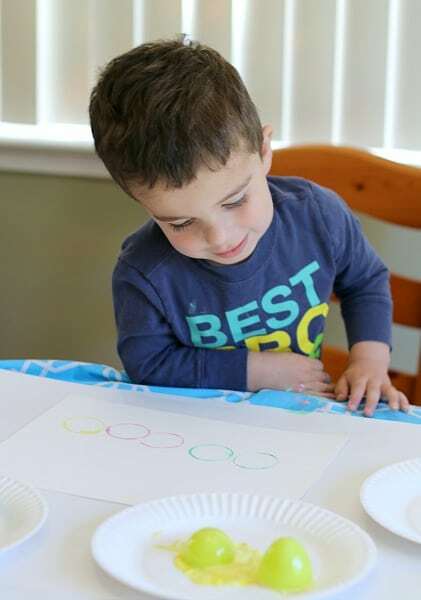 He enjoyed trying all the colors to form a line. I love how excited he was of his completed artwork! 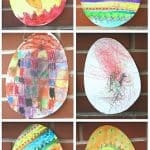 We also did some circle collages together using the eggs! 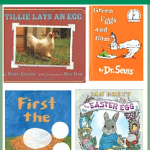 This is a wonderful idea!! 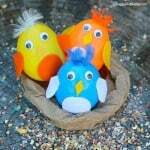 I am sure my kids would love it..! 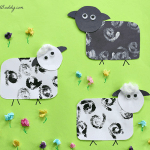 Thanks for sharing this on link and share party! 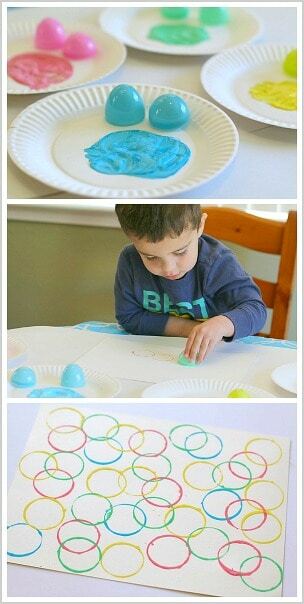 looks amazing & refreshing 🙂 how old is Theo, he loves making art shapes 🙂 I Hv a 2 yr old & would like to try it.. Thanks, Priya! 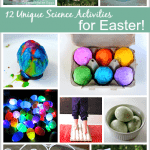 Theo is currently 3 1/2 years old, but during the time we did that activity he was 2 1/2 and loved it! I think your 2 year old would have a blast!